Cheap: I paid $75 for mine. They are all over Pic-n-Pull for under $100. Strength: 1.5", 30 spline axles. 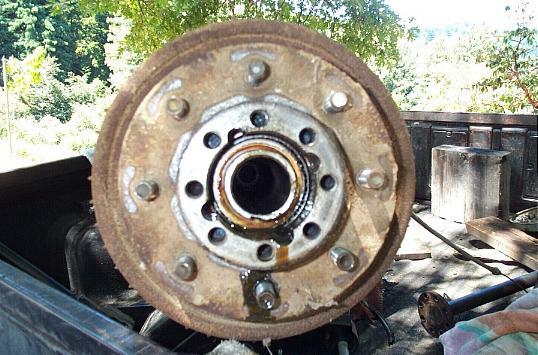 Full floater - It takes 8 bolts to get the axle out and if the axle does brake, the tire does not come off. A big drawback was that the 14-bolt has really heavy drum brakes. To fix this issue I looked around and found a product by www.shakerbuilt.com that lets you install disk brakes in place of the drums. Start of by pulling the eight bolts to free the axle. The axle should just slide out. This is the drum and hub assembly. You will need to take a punch and knock out the studs to release the hub from the drum. Back off the brake adjuster and pull off the drum/hub assembly. Unbolt the four bolts holding the backing plate to the axle. 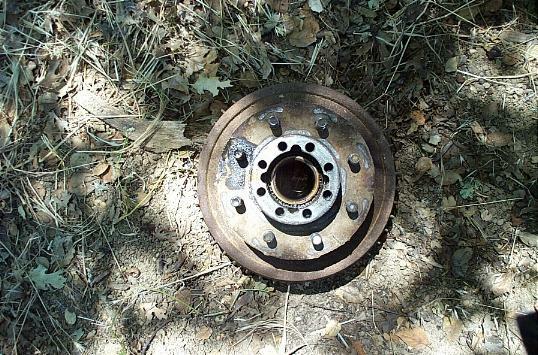 This is what comes off - E-brake, brake pads, backing plate, and drum. This is what comes in the disk brake kit from Shakerbuilt: (2) brackets, (8) spacers, and 8 bolts. Bracket mounted in the axle with supplied hardware. I replaced the rear seal since I had to get to the bearings. Use the wheel studs to mount the new rotor to the hub. Then just mount the whole setup on the spindle. Make sure to seat the stud all the way down. Installed and ready to go. Overall the brackets are really clean and easy to install. I would highly recommend this swap to anyone who has a 14-bolt. It's a very easy swap. You can get this kit from www.shakerbuilt.com Ask for Tim.